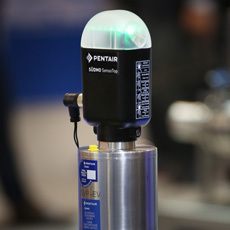 At Pentair, we provide our clients all over the world with industrial products, services and solutions in the water and other liquids industries, thermal management and protective measures. Our innovative concepts,	collaborative strength, disciplined work ethic and wide-ranging skills enable us to deliver ‘Inspired Solutions for a Changing World’. Haffmans BV, established in 1947, is part of the Pentair group. Specializing in CO2 and O2 Management Solutions, Haffmans helps its clients among other things lower their carbon footprint and energy bills. For more than 65 years, Haffmans has been developing quality control products along with Biogas and process facilities for the global beverage industry. Currently Haffmans sells and services its products in more than 150 countries world-wide. As International Maintenance Technician, you are versatile in all kinds of mechanical and electro-technical tasks. From conducting independent inspections, preventative maintenance, reconstruction work and adjustment of machinery, to emergency repair of process facilities. You know how to solve problems quickly and effectively. You are equally dynamic when rectifying faults on industrial installations, PLC operating systems and measurement and control systems. In addition, you will instruct fellow technicians and operators and guide external technicians when carrying out specific tasks. You will make an inventory and give advice on spare parts, identify problems and report these to your organization. Your responsibilities include running projects on location with respect to quality and turnaround time. You feel at home in a role where customer satisfaction and technical challenges go hand in hand. You need to be someone who enjoys staying abroad for longer periods (several weeks at a time) and working independently. You are creative, innovative and think in terms of opportunities and solutions. You are committed to people and organizations and able to forge relationships quickly and easily. The opportunity to work in a fun, dynamic, internationally oriented company with a pleasant atmosphere, interesting career prospects and excellent working conditions. You can also rely on us to motivate, challenge and allow you freedom so that you will enjoy coming to work every day. Pentair offers challenging roles for ambitious people. If, after reading this offer, you are interested in fulfilling your ambitions at Pentair, send your letter and CV to: Pentair Haffmans, Human Resources Dept., P.O. Box 3150, 5902 RD VENLO, the Netherlands or email to: nlvenrecruitment@pentair.com. For further information, please contact our HR department, tel. : +31 (0) 77 3232300. Pentair plc (NYSE: PNR) is a global company dedicated to building a safer, more sustainable world. Pentair delivers industry leading products, services and solutions that help people make the best use of the resources they rely on most. Its technology moves the world forward by ensuring that water is plentiful, useful and pure, and that critical equipment and those near it are protected. With 2016 revenues of $4.9 billion, Pentair employs approximately 19,000 people worldwide. A global water leader focused on smart, sustainable water and fluid processing applications. It designs, manufactures and delivers innovative solutions to residential, commercial and industrial customers who place a premium on high quality water and fluids. Strategic business units include Aquatic and Environmental Systems, Water Filtration, Water Technologies, Process Technologies, and Fluid Motion. Pentair’s Water segment generated approximately $2.8 billion in sales in 2016. As Technical Support Engineer you provide technical Support to our customers and employees in the field of Systems (CO2 recovery & Biogas upgrading systems). You are part of the Service Helpdesk within the Technical Support team and the first point of contact for our customers on technical questions. You solve these technical items in accordance with the agreed KPI’s in the Service Level Agreement (SLA). You are constantly looking for the best solution for our customers and strive for an optimal system performance and customer satisfaction. You fit into a dynamic environment, where quality is a high priority. You are an 'out of the box’ thinker and you have highly developed analytical & process related skills. You are familiar with the continuous improvement and optimization of processes in accordance with the LEAN principles. You are willing to rotate periodically in a 24/7-standby service for our Service Level Agreement customers, mainly remote support. Incidentally, you can also be deployed for troubleshooting of supplied equipment to customers in the field and perform software modification on-site. From a technical perspective you taking care of software optimization in order to smoothen biogas upgrading processes, what will help to continuous improve the standard software with feedback from the field engineers and the Technical Support team You consult with Maintenance & Service Engineers in the field and our Process Automation Department (PAD) for further improve of our software & upgrading processes. You are able to adapt process related software and follow-up these improvements with an analytic base. You report to the Manager Technical Support. You are proactive, solution- and result oriented and you are able to work both independently and in a team. The opportunity to work in a fun, dynamic, internationally oriented company with a pleasant atmosphere. Interesting career prospects and excellent working conditions. You can also rely on us to motivate, challenge and allow you freedom so that you will enjoy coming to work every day. Pentair Haffmans offers challenging roles for ambitious people. If, after reading this offer, you are interested in fulfilling your ambitions at Pentair Haffmans, send your letter and CV to nlvenrecruitment@pentair.com. For further information about Pentair Haffmans please visit our website www.haffmans.nl or contact Ms. Yvonne Peters, tel. : +31 (0)77 – 3232300. You will report to the Manager Technical Support. Binnen onze R&D afdeling Quality Control (QC) zijn we op zoek naar een ervaren technisch inhoudelijke project leader. Als Project Leader ben je, samen met een enthousiast team van project engineers, verantwoordelijk voor de begeleiding en (verdere) ontwikkeling van nieuwe en bestaande hoogwaardige meet- en analyseapparatuur. We zijn wereldwijd actief in de bierbrouwerij- en drankenindustrie. Samen met de product manager ben je verantwoordelijk voor het gehele ontwikkeltraject (van initiatie-, ontwerp-, en testfase tot aan de overdracht naar de productie) volgens een vooropgesteld projectplan en tijdspad. Op regelmatige basis neem je deel aan overleggen met diverse afdelingen (Product Management, Sales, productie etc.) over de ontwikkeltrajecten (planning en kosten etc.). Je bent tevens een gesprekpartner voor diverse interne afdelingen en toeleveranciers. Daarnaast draag je de verantwoording voor de nazorg en productverbetering van bestaande meet- en analyseapparatuur. Je rapporteert aan de Team Leader R&D. Beheersing van de Engelse taal is een must, Nederlandse en Duitse taal is een pré. ons verwachten dat wij je stimuleren, uitdagen en vrijheid geven, zodat je iedere dag met plezier naar en van je werk gaat. Voor ambitieuze mensen biedt Pentair Haffmans uitdagende posities. Ben je na het lezen van deze uitdagende functie geïnteresseerd om bij Pentair Haffmans je ambities waar te maken? Stuur dan je motivatiebrief met CV naar nlvenrecruitment@pentair.com. Voor specifieke informatie kun je contact opnemen met Yvonne Peters, 031(0)77 3232300. Kijk voor meer informatie over Pentair Haffmans op onze website www.foodandbeverage.pentair.com/en. At Pentair, we provide our clients all over the world with industrial products, services and solutions in the water and other liquids industries, thermal management and protective measures. Our innovative concepts, collaborative strength, disciplined work ethic and wide-ranging skills enable us to deliver ‘Inspired Solutions for a Changing World’. As a Field Service Specialist Supervisor you are responsible for repair and servicing of our products and / or systems within the UK region. You are, together with the Team Leader Service (located in Venlo, the Netherlands), responsible for planning, directing, and coordinating all service operations of repair, machinery and processing at customer site. You work closely together with the Technical Support department (located in Venlo, the Netherlands) in order to coordinate all the service operations in the UK. The technical support department will take care of the 24/7 service. You work and act according to the Service Level Agreements with our customers. You’re able to troubleshoot, identify, analyze and repair failures in our systems in the field. You will supervise the contractors in their day-to-day operation (preventative maintenance), but you are also willing to do the maintenance yourself. You feel comfortable in a role where customer satisfaction and technical challenges go hand in hand. You need to be someone who enjoys staying abroad for longer periods (several weeks at a time) and working independently. You are creative, innovative and think in terms of opportunities and solutions. You are committed to people and organizations and able to forge relationships quickly and easily. You will report to the Team Leader Service. - Willingness to work internationally. Responsible for the realization of complex carbon dioxide recovery and biogas upgrading projects within the given timeframe, financial means and scope and following the demands and wishes of the customer. On time delivery and working within budget are required. Managing the project team and securing that the project is realized and delivered based on specifications. Preparing a plan of approach for the project, explaining to and getting approval from the (inter)national customer. Mechanical Engineering, Process Automation, Production and Service. Managing the project on the aspects time, money, quality, information and organization and guarding the progress and if necessary pro-actively take action. Timely signaling deviations and taking appropriate measures. Preparing regular project reports for the customer and monthly reports for the Director of Operations on progress, (financial) prognosis, planning and scope. Organizing acceptance tests in the presence of the customer or its representative. Completed higher professional education (HBO) in a technical specialization, preferably mechanical engineering, physics or processing technology. Knowledge and experience of cooling technology, technical processing installations and Process Automation & PLC controls is an advantage. At least 5 years of relevant working experience in a project organization in a technical environment and/or in the brewery and/or biogas industry. The position involves travelling and working abroad. Excellent communication skills in Dutch, English and German (both verbal and in writing). Proficient in Microsoft Office and some experience in SAP. Proven experience as a Project Manager and with working in a multi-disciplinary technical team. The Project Manager is responsible for the execution and finalization of our (inter)national projects. It is required to be both customer and result driven, to be able to show leadership and be determined. Pentair heeft 30.000 medewerkers. Samen werken we over de hele wereld aan de industriële producten, diensten en oplossingen voor onze klanten onder andere in water en andere vloeistoffen industrieën, thermal management en beschermingsmiddelen. Onze inventieve ideeën, samenwerkende kracht, gedisciplineerde arbeidsethiek en brede deskundigheid stelt ons instaat om ‘Inspired Solutions for a Changing World’ te leveren. Haffmans BV, opgericht in 1947, maakt deel uit van de Pentair groep. Als specialist op het gebied van CO2 en O2 Management oplossingen helpt Haffmans haar klanten om onder andere hun CO2 footprint en energiekosten te verlagen. Al meer dan 65 jaar ontwikkelt Haffmans kwaliteitscontrole producten en procesinstallaties voor onder andere de wereldwijde drankenindustrie. Momenteel verkoopt en serviced Haffmans haar producten in meer dan 150 landen over de gehele wereld. Als Lead Hardware Engineer Process Automation draagt u zorg voor de kwaliteit van de hardware-, software engineering en paneelbouw met als doel het behalen van de OTD en kosten te verkleinen door middel van het uitbreiden van de gebruikte standaarden. U beheert de Eplan P8 en EEC One data engineering standaard en heeft kennis van de geldende richtlijnen en normen, zoals de: NEN-EN-IEC 60204 en ATEX 95 richtlijn en de NEN-EN-IEC 61439, NEN1010, EN 61000-6, NEN-EN-IEC 60079 Normen. U draagt zorg voor verdere uitbreiding van de hardware standaard. U focust op efficiëntie verbetering in het totale engineeringsproces op het gebied van SQDCC door gebruik making van de Pentair PIMS tools. U overlegt met projectleiders, projectmanagers, productie, inkoop en ondersteunt bij verkoop calculaties op het gebied van industriële automatisering. U bent in staat om procesinstallaties snel eigen te maken. U onderhoud contacten met externe leveranciers om kostenbesparing te realiseren voor de projecten door middel van het verbeteren en het continueren van outsourcing trajecten. U geeft functioneel leiding aan 1 FTE en rapporteert aan de Manager Process Automation. HBO/MBO+ werkniveau- en denkniveau elektrotechniek. Beheersing van de Nederlandse en Engelse taal in woord en geschrift. Duits is een pre. Uitgebreide kennis van hardware engineering in Eplan P8 en EEC One. Voor ambitieuze mensen biedt Pentair Haffmans uitdagende posities. Ben je na het lezen van deze uitdagende functie geïnteresseerd om bij Pentair Haffmans je ambities waar te maken? Stuur dan je motivatiebrief met CV naar nlvenrecruitment@pentair.com.